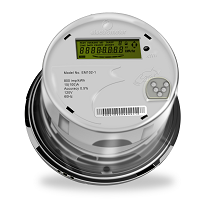 The EM102-2 is a single phase two wire type S electronic meter equipped with the latest Optical Token communication technology. The EM102-2 allows consumers to better manage their budget by providing credit level indicators. The EM102-2 benefits from the Optical Token technology which allows a two-way communication path between the utility company and the consumer.